IMEX (Myanmar) Co., Ltd. introduced Green Earth Co., Ltd that produce new fuel for all the engines to Ministry of Electricity and Energy (MOEE). Mr.Ray, Managing Directory of IMEX (Myanmar) Co., Ltd. and Japanese Guests from Green Earth Co.,Ltd. 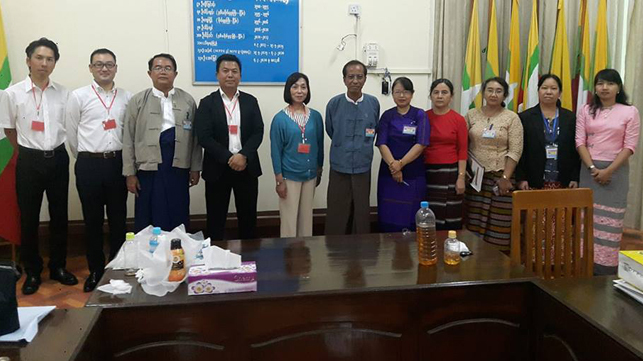 went to the Ministry of Myanmar Electric and Power and, discuss producing new fuel that can increase the volume of the diesel that is intended to be used in Myanmar and exported to it's neighboring countries.